Westminster– Gary Wayne McCurry, 73, husband of Brenda “Joyce” Freeman McCurry, of 630 Marcengill Road, passed away, March 21, 2019, at his residence. Born in Stephens County, GA, he was the son of the late Dorsey McCurry and Valene Keller McCurry. Gary was a Veteran of the United States Army, where he served during the Vietnam Era and he was retired from Carolina Tire. Survivors in addition to his wife, include his sons, Jeffrey McCurry (Kaylann) of Westminster and Andy McCurry (Lisa) of Seneca; daughter, Tammy Campbell (Kevin) of Westminster; sisters, Annette Scott of Toccoa, GA, Bonnie Faye Roberts of Carnesville, GA; nine grandchildren, Amanda Scott (Greg), Alisha Whitfield (James), Casey James (Alan Land), Makaylah McCurry, Ally McCurry, Kaylee Grant, Kendal Grant, Savannah McCurry, and Jacob Campbell; and seven great-grandchildren, Kylie James, Anslee Whitfield, McKynlee Whitfield, Paisley Scott, Waverly Scott, Carlie Land, and Colby Land. 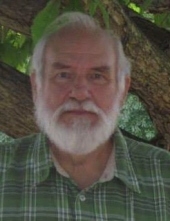 In addition to his parents, Mr. McCurry is preceded in death by a daughter, Tonya McCurry and brothers, Bruce McCurry, Johnny Ray McCurry, and Charles McCurry; and a sister, Louise Guthrie. A funeral service will be held at 3:00 pm, Saturday, March 23, 2019 at Sandifer Funeral Home Chapel, with burial to follow at Chauga Baptist Church Cemetery. The family will receive friends 1-2:30 pm, prior to the service at Sandifer Funeral Home. To send flowers or a remembrance gift to the family of Gary Wayne McCurry, please visit our Tribute Store. "Email Address" would like to share the life celebration of Gary Wayne McCurry. Click on the "link" to go to share a favorite memory or leave a condolence message for the family.